My New Years resolution was to try to carry a camera with me more often. I was pretty quickly rewarded for this in 2012! After finishing up tasting at the Chateau Ste. 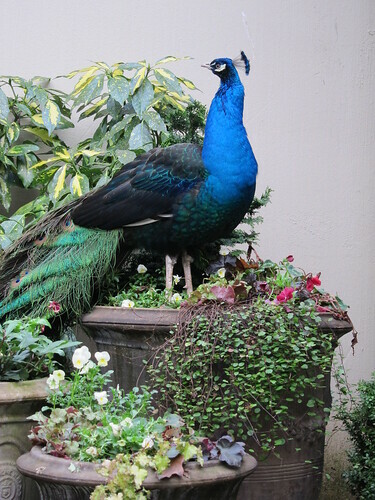 Michelle Winery in Woodinville, Washington, I came outside to see this peacock perched on some planters. While I am still getting use to my new camera, I like the composition and colors of this photo.